Jordon Cooke provided a hammer blow to Blyth’s play-off hopes as bottom-of-the-table North Ferriby won a closely-fought affair on Saturday. The Villagers rode their luck throughout the game as Blyth wasted their opportunities – though the fact that Ferriby keeper Ross Durrant was given the man-of-the-match suggests that Blyth did everything but score. 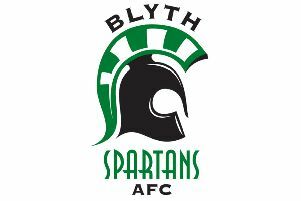 The defeat leaves Blyth sixth in the table and clinging onto a playoff space by a point. North Ferriby are already relegated but completed their first double of the season and their first home victory of the season. Blyth started the game brightly by dominating possession but could not find the breakthrough they were looking for. Throughout the first half, they peppered the home goal and Dan Maguire thought he had broken the deadlock on 39 minutes as he struck a sliding finish from Hopson’s pass but the goal was disallowed for a marginal offside. In the 42nd minute, the referee Samuel Barrott looked to have sustained a serious knee injury and was stretchered off – delaying the game by 15 minutes. Tony Young turned from Spartans fan to linesman – stepping in to run the line. The second half saw Blyth continue their first-half dominance, but the visitors struggled to turn their possession dominance into goals. The turning point for Blyth undoubtedly came with the loss of Maguire to what looked like a nasty ankle injury on 57 minutes. He limped off and was replaced by Langstaff. Ferriby finally gave their fans something to cheer on 60 minutes as Cooke was given the freedom of the box to head home from close range into the bottom left corner. Ferriby had looked dangerous from set-pieces all game and were rewarded for another excellent delivery from Forrester. Blyth huffed and puffed after the goal with the bounce of the ball not falling their way. The Villagers nearly added a second goal on 70 minutes as Nichols ran in on goal – but Atkinson stopped him with a tremendous last-ditch tackle. Possibly the best chance for the visitors landed at Sean Reid’s feet as he was played in by Langstaff. Reid did all he could to score but Durrant made a magnificent save.